Oprah Winfrey turns 65 this year, and her net worth is approaching $3 billion (Forbes says she’s currently worth $2.9 billion). So, what does Oprah do with all that money? Oprah owns property around the country, a private jet, stake in companies and restaurants, and she gives to multiple charities. As we wish her a happy 65th, we take a look at what exactly one of the world’s richest women spends her money on. Oprah’s owns a variety of homes and properties across the U.S. She has used her fortune to purchase properties like her prized home in Montecito, California. It’s a mansion she paid around $50 million for in 2001. She nicknamed the home “The Promised Land,” at it is estimated to be worth $90 million today. She also has a farmhouse in Maui; a $14 million dollar home in the ski town of Mountain Village near Telluride in Colorado; and her most recent real estate purchase, a private compound on 43 acres of land on Orcas Island, in Washington State. Oprah has long been known to be a charitable giver. She has also often used her celebrity status to bring notice to causes she believes in. She once said, “You get from the world what you give to the world,” and she practices what she preaches. She recently donated $100 million dollars to the Time’s Up campaign, a campaign established by power players in the entertainment industry that aims to tackle harassment and sexism. 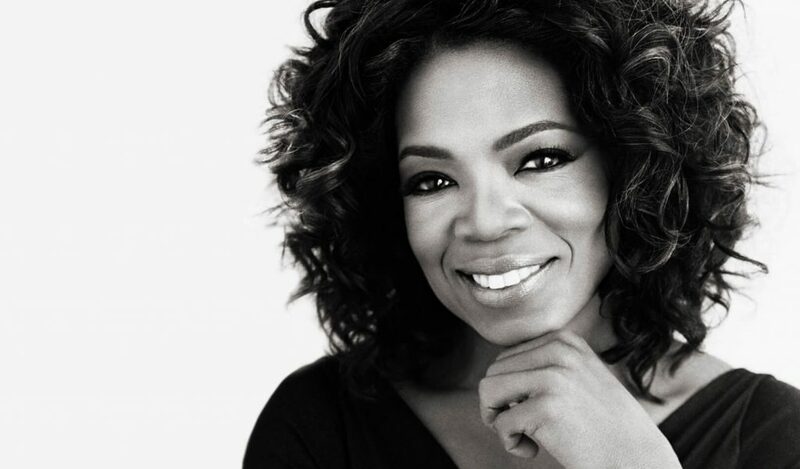 Oprah regularly gives generously to educational causes, like her own Oprah Winfrey Leadership Academy for Girls in South Africa. She founded the academy in 2007, and since it opened, she has spent over $140 million on it. The boarding school is home to underprivileged girls from grades 8 through 12, and Oprah pays all the girls’ living expenses. She spends at least one week on campus every time she visits, and spends time visiting with the girls around the fire. Ron Clark, who appeared on Oprah’s show several times, founded an academy himself (the Ron Clark Academy) and Oprah donated $5 million dollars to this private, non-profit middle school in Atlanta. In 2018, Oprah donated $500,000 to March for Our Lives. The marches were held on March 24, 2018, and took place all across the U.S. in support of stricter gun control. In 2016, Oprah gave $1 million to N Street Village, in Washington, D.C. This nonprofit provides services, housing, and advocacy to homeless and low-income women in the area. Last year, when she starred in “A Wrinkle in Time”, Oprah donated $50,000 to a campaign spearheaded by 14-year-old Taylor Richardson in Jacksonville, Florida. The teen developed the campaign to raise money for 1,000 young black girls in her hometown to see the movie. In 2011, Oprah Winfrey’s Angel Network awarded a $25,000 grant to Chicago’s Logan Square Neighborhood Association. This community-based organization serves more than 7,000 adults and children through its various programs. She donated $12 million to the Smithsonian National Museum of African American History in 2012; she had previously donated $1 million in 2007. And in 2015, Oprah donated $100,000 to the GEANCO foundation in honor of David Oyelowo, her costar in “Selma” and “The Butler,”. The charitable organization provides health programs and education to women and girls in Nigeria. On one of her last episodes of “The Oprah Winfrey Show,” Oprah welcomed back one her favorite guests, Tererai Trent. The Zimbabwe native first appeared on Oprah’s show in 2009, and told of how the people in her village helped her to relocate to the U.S. The second time she came on the show, Trent said she hoped to give back to her village by helping them improve their schools and educational system. In 2011, when she was on the show a final time, Oprah announced she would be providing a $1.5 million grant from the Oprah Winfrey Foundation to Save the Children. The money went to rebuilding the Matau Primary School in Zimbabwe. And after Hurricane Katrina, Oprah donated $10 million dollars to Gulf Coast residents to help them rebuild their homes. She also established the Angel Network Homes Registry which helped victims repurchase items for their homes—items that had been lost in the storm. The list of Oprah’s charitable donations goes on and on…but what else does she spend her money on? Oprah owns her own jet—which she paid $42 million for, after an encounter with a rude person at an airport. In 2006, Winfrey took her friend, Gayle King, on a trip across-country, driving from Santa Barbara to New York City. They also went “glamping” in Yosemite in 2010, and just a few years later, the pair went truffle picking in Umbria, which Oprah said was on her bucket list. The two have even gone clubbing in Ibiza with will.i.am. She often includes her staff on her adventures. In 2009, she took them on a 10-day cruise that cost her over $9 million, and she recently took the staff of OWN on a vacation to Maui. In 2017, Oprah and Gayle joined other celebrities at David Geffen’s yacht party; the yacht was anchored in Sicily, near an exclusive Google retreat. Oprah also invests in a number of businesses. Oprah co-founded Oxygen Media. She sold Oxygen to NBC in 2007 for $925 million. In 2015, she purchased 10% of Weight Watchers for $43 million. Today, her investment is worth more than $400 million. Oprah is very interested in health and wellness, and this drove her to invest in True Food Kitchen in 2018. This health-food-focused restaurant chain is based in Phoenix, Arizona. Oprah may be worth a great deal, but it is easy to see that she is charitable with her time and money. Plus, she’s a savvy businesswoman, so her wealth will continue to grow. 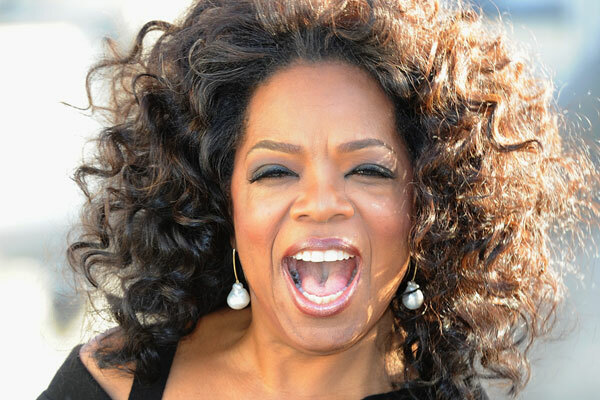 Happy birthday, Oprah!